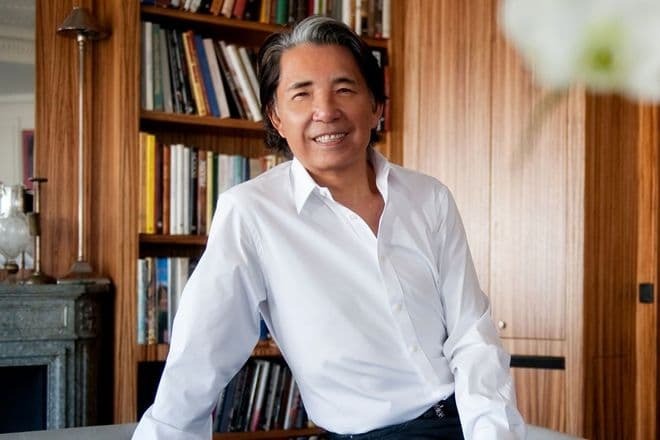 Kenzō Takada is a Japanese fashion designer whose unique style has gone down in history of global fashion. The Kenzō Takada home has been following a particular philosophy for several decades: brightness and harmony, soft lines and fancy details. The designer has never imitated anyone, and the loyalty to his own vision brought much international success to him. Kenzō was born in 1939 in a tiny village in Hyōgo Prefecture. The boy was the fifth child in the family of a tea house owner. Takada took an interest in design early; the first fashion magazine he saw mesmerized him. Kenzō could spend hours copying the models he liked and creating dresses for his sisters’ paper dolls. The elder sister studied to be a fashion designer. As soon as Takada graduated from school, he wanted to follow her example. However, the parents believed that the job was not for a man and insisted their son should choose something else. Kenzō studied English Literature for a couple of months but quitted and decided to devote his life to fashion. The young talent moved to Tokyo and got hired as a painter to be financially independent of his parents. The big city life and education cost a lot of money. 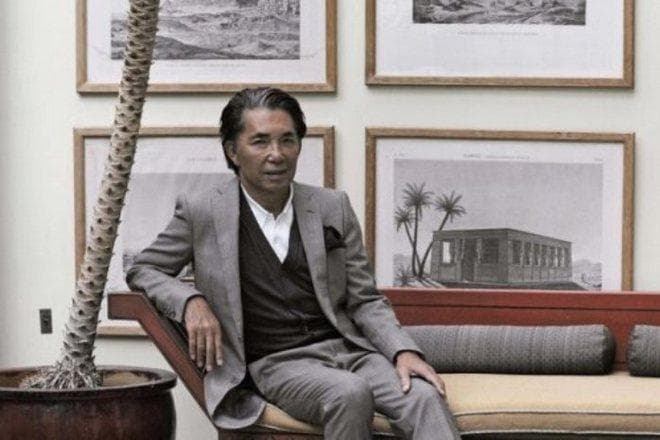 However, the man’s endeavor was awarded: Takada entered the prestigious fashion designer school Bunka Gakuen; he was the first male student in the history of the school. 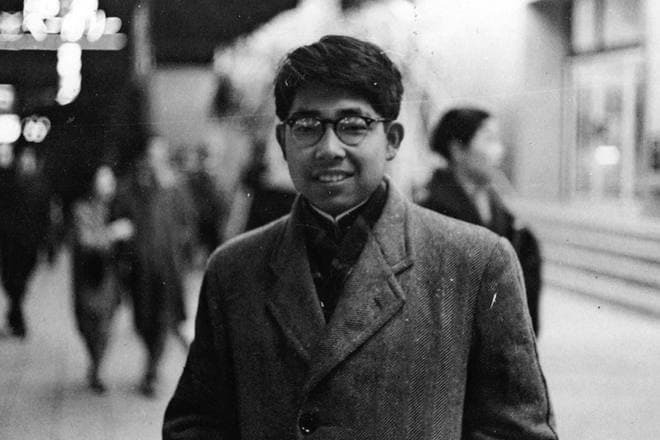 Takada Kenzō worked hard and gladly; after graduation, he became a designer for the Tokyo store Sanai and created several clothes lines. Simultaneously, he worked part-time as a model for local magazines. The dream inspired 26-year-old Kenzō to go further. He sold everything and went to Paris. The young man had no connections there; he could not even speak French. However, he had advanced knowledge of Yves Saint Laurent’s, Christian Dior’s, and Pierre Cardin’s collections and genuinely believed he could become equal to them. As expected, the way to the world of high fashion was full of obstacles. The Parisian fashion elite was not aware of the nameless Japanese designer. 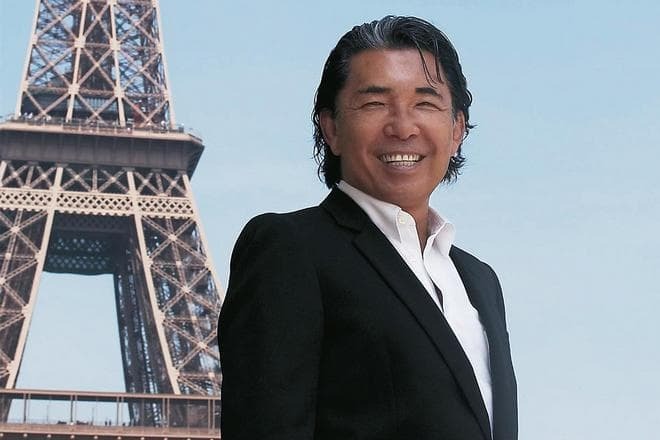 Takada, who fell in love with Paris, could work devotedly and diligently: the first years in France were marked with frequent visits to fashion shows. Takada was looking for a chance to prove himself. He aimed at saving some money for his own business and did everything to achieve his goal: Kenzō created numerous sketches for stores, tailor shops, and even a circus. 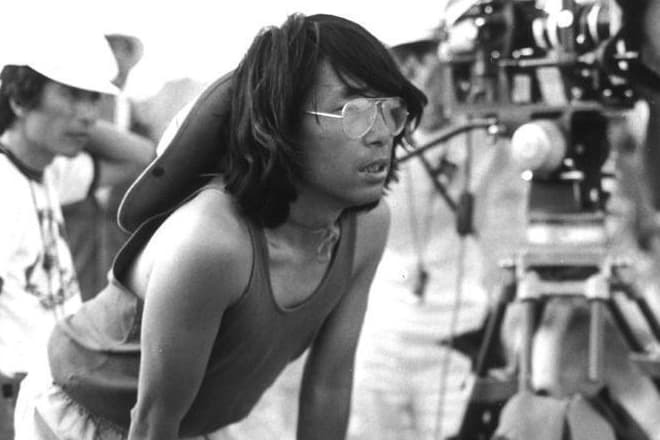 In 1970, Takada and his partner, a coursemate Atsuko Kondo, opened a small store in Boulevards of Paris, Jungle Jap. The designer focused on bright prints, easy fit, and light fabrics; he introduced the exotic Japanese colors to the European audience. 1972 was a significant year for the master: Kenzō Takada held his first show at Orsay station. The traditional Japanese kimono inspired the designer: he combined loose-fit silhouettes and bright geometric and animal prints. The color buoyancy and unusual forms impressed the Parisians, yet they did not rush to buy Kenzō Takada’s first collection. Kenzō was not going to please the audience by all means; he continued to work in his own manner. The designer presented loose-fit clothes right in the middle of the fit-silhouette epoch; besides, he introduced baggy items of clothing that did not emphasize body parts. According to Kenzō Takada’s quote, “The body needs space. In the physical and spiritual sense”. He did not appreciate the open sexuality tendencies. By the end of the 1970s, Kenzō became one of the most popular designers in Paris and started producing bags. His non-runway shows were brilliant, even pretentious: models walked across squares, the Paris Bourse, museums, a circus, and bridges decorated with flowers. As soon as the Japanese designer earned his fame, he expanded his activities. The 1980s brought the men’s clothing line. 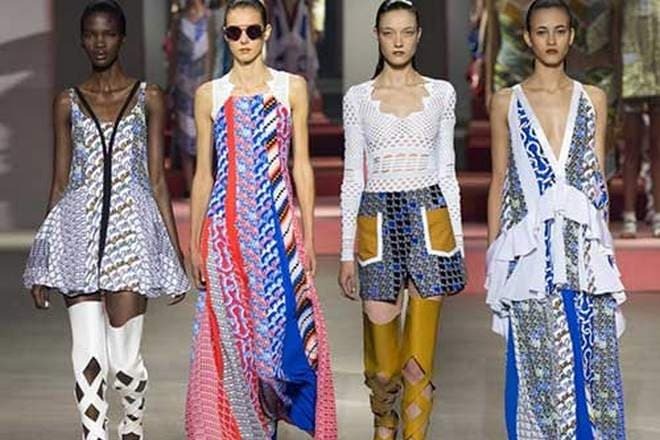 The models were peculiar for their style: classic shapes, bright colors, and revolutionary prints. In addition, the accessories and imitation jewelry lines were presented. In 1987, Kenzō Takada parfum appeared: Ca Sent Beau showed the new details in the world of smells and marked a new page in the designer’s life. 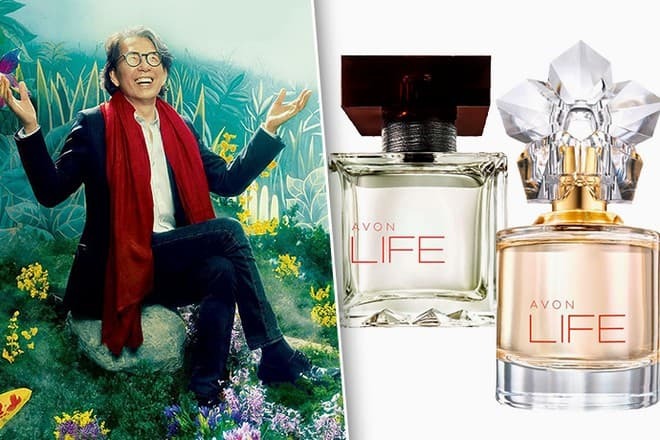 Flowers and leaves inspired the master: their notes became the fundament for the scents, and their forms manifested themselves in the bottle designs. Today, one can imagine the perfume industry without Kenzō lines. In 1993, Takada sold the company to LVMH, stopped taking responsibility for management and advertisement, and concentrated on creation. In the early 2000s, he stepped aside the Kenzō brand and passed it to talented successors. The man does whatever his heart tells him: rests, travels, creates furniture, and invents new perfumes. At the same time, he wins many awards and titles for his talent, hard work, and faithfulness to his style. Kenzō Takada keeps his personal life secret and gives no information about whether he is married and has children. Although the designer is known all over the world, he is still a modest person who appreciates some time alone. The man has created a piece of Japan in Paris: a tea house similar to that of his father’s, a garden, and a pond with goldfish. Takada has left fashion several times to reconsider his life priorities, slow down, and regain some strength. However, he has always come back and presented new, brilliant ideas. Despite his age, Kenzō Takada is active and energetic. In 2019, the master celebrates his 80th birthday. The designer has an Instagram account and posts photos with his friends, book previews, fresh fashion sketches, and archive pictures from his youth. In November 2018, the French publishing house Chene released the book Kenzō Takada. There are hundreds of photos and drawings created by the man throughout his work in the fashion house. 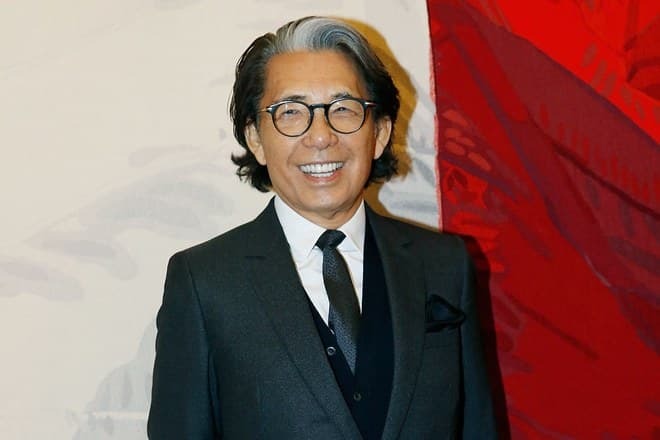 Kenzō Takada’s net worth is $100 million in 2019.